Finding its first origins in 1808, then founded in 1879, Maison Chapoutier is a wine producer and merchant located in the Rhone Valley in Tain l'Hermitage. Michel Chapoutier, manager since 1989, has greatly contributed to the expansion of the estate which reaches now around 360 hectares. He also converted all parts of the vineyard into biodynamic growing. Soil is highly respected and worked according to its own local specificities, which contributes to the quality of the wines produced. 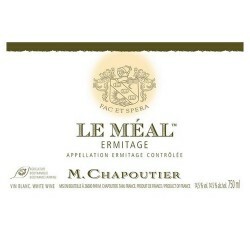 Chapoutier's estate alone owns 34 hectares of vines in the most prestigious appellation of the area : Hermitage. It also produces wines in every other appellations of the region. Chapoutier There are 95 products.